These market places were called “charshiya”. The land on which Sofia Market Hall is located today was the charshiya of the monastery of St. John of Rila. For this reason, the terrain where today the Central Market Hall, also known as Tsentarlni Sofiyski Hali, is situated had been a trading venue for centuries to the monastery of St. John of Rila. 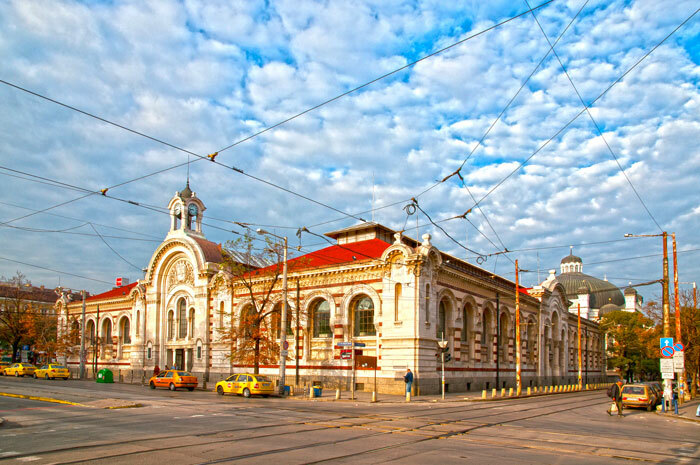 Beginning of the 20th century, to put it more in order, the Sofia Market Hall was built. It was built to sell dairy products, fish etc. Still it is one of the main tourist places that we will visit in Sofia walking tour. 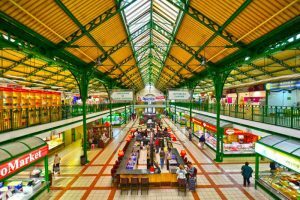 You can enjoy an old shopping complex which was originally built with four entrances. But now only three are being used by the public. While entering the mall from the main entrance one can see the relief of the coat of arms of Sofia above. It designed by the artist Haralampi Tachev. Over that famous small clock tower with three dials can been seen. The Market Hall was closed for restoration in 1988. Due to the political changes and also changes in the country’s system, it carried on and off for some time. Eventually, an Israeli company invested $ 7 million. Being next to the Central Synagogue the Market got their attention. Now the company have 75 % of the Market Hall. And also on the ground floor of the Market Hall we can see a fountain shaped like the Star of David. Since the Easter in the year 2000, It was open again. The article above has been taken from http://sofia.privatetours.info. To read more, please click on the following link Sofia Walking Tour.